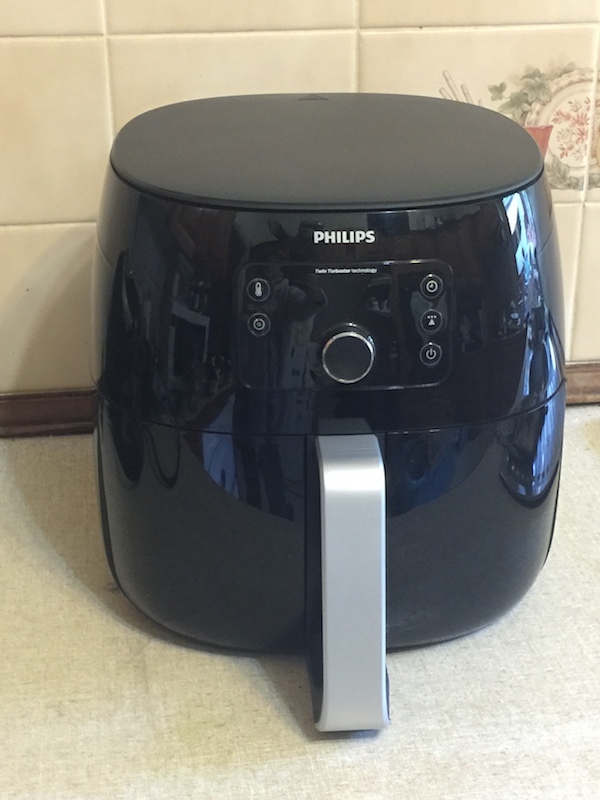 I was sent a Philips Airfryer XXL to test out. 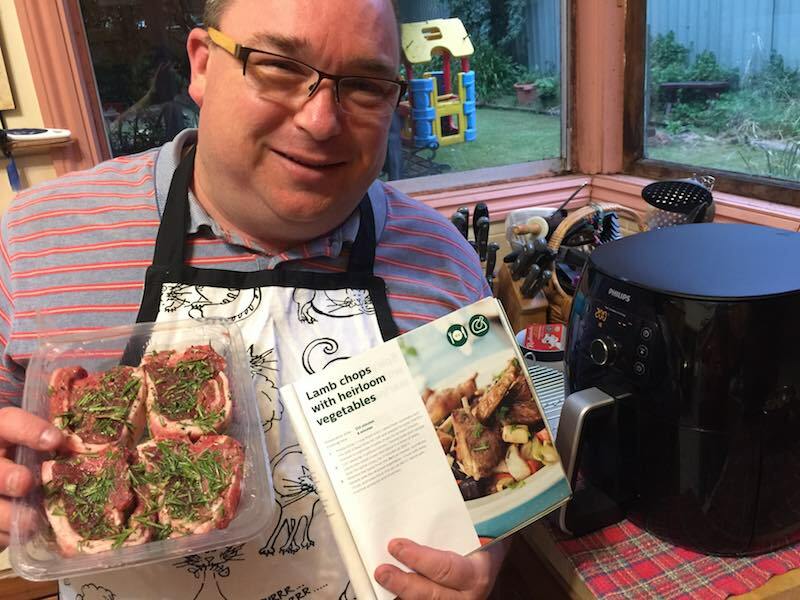 Read on to learn how to cook hot chips and lamb chops & veggies in the airfryer. Insert happy dance here. I do like getting lovely presents that can help the family, and especially me. A big and huge thank you to Philips for this amazing gift. Previous to getting an email about this wonderful airfryer I really hadn’t heard about them. Yes, I was in the dark about the world of airfrying. The airfyer is a healthier way to cook. XXL family size 1.4 kg capacity is large enough for a whole chicken or six portions of fries for the whole family. Automatic settings 5 preset programs & Keep Warm mode — with digital display and QuickControl dial. Easy to clean QuickClean basket & non-stick drawer wash up in 90 seconds — or pop them in the dishwasher. So what is an airfryer? Twin TurboStar technology combines with 2225 watts of power for effective fat removal. A ‘tornado’ of hot air melts away fat — capturing it all in the bottom of the Airfryer XXL for easy disposal. *Based on the fat content of chicken and pork compared to deep-fat frying and wok frying. The airfryer circulates hot air at high speed, and in turn, cooks the food. 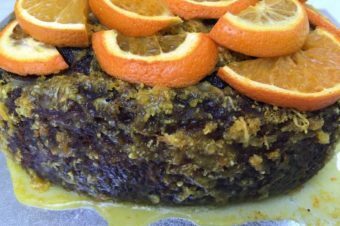 Food is crispy outside and tender on the inside. The Philips Airfryer can grill, fry, bake and roast. Preparation time: 30 minutes, this includes cutting up potatoes and soaking the chips for 20 minutes. I cut up 6 potatoes. I like to keep the skin on and therefore just washed them to take the excess dirt of them. Once cut up they had to be soaked in water for 20mins. After they have had their 20min bath, the chips need to be dried. You can either use a tea towel or a paper towel. I chose to use a tea towel. Put the chips in a bowl with 1 tablespoon of oil. Mix the oil around so that all the chips get coated in the oil. Put all the chips in the airfyer basket. Make sure to do this by hand and to not tip them from the bowl into the tray. The airfyer does not like oil spilled in the try and therefore might have a negative outcome for the chips and machine if you do this. Once in the basket, the chips are ready to be cooked. Select the chips preset, make sure it on for 180 degrees Celsius and select 25 minutes for the cooking time. At various times throughout cooking the chips stop the airfyer and move the chips around. This makes sure that they are all cooking well. You will see the different times that you stop and stir the chips just how fast they are cooking. 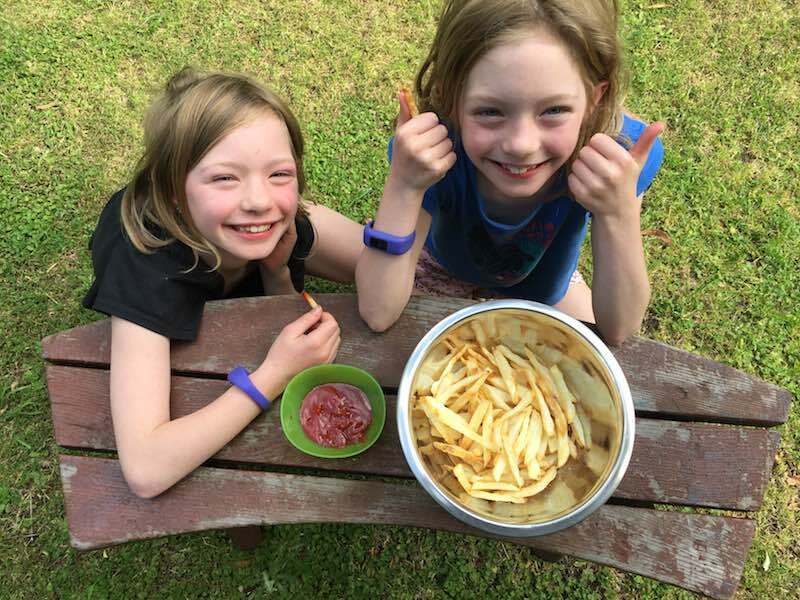 Once all cooked, you can now enjoy yummy and healthy hot chips. Yummy hot chips that I made with the Philips Airfryer XXL. They were so tasty and quick to make. Plus healthy as well. Hubby decided he wanted to have a go of the new airfryer. He cooked the below meal and found the airfryer so easy to use. Lamb Chops and Vegetables cooked in the Philips Airfryer XXL. Marinade chops with mint and rosemary for 3 hours. You can cut the mint and rosemary into fine pieces or zap it as a paste in a mixer. Once the meat is fully marinated then you can get ready to organise the other ingredients. Cut up the carrot and potatoes into fine cubes. Note: You can use different vegetables if you like, it is up to you. Soak the carrot and potatoes in water for 20 minutes. Drain thoroughly before adding to the airfryer pan. Add the oil to the airfryer pan and move around to coat the bottom of the pan. This way it will allow your chops to not stick. 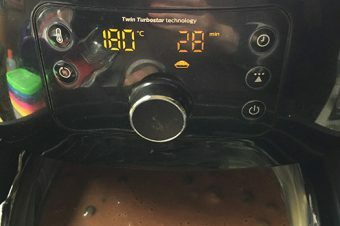 Heat the airfryer to 200 degrees Celsius. Put the lamb chops in the air fryer to sear. This is only for 2 minutes. 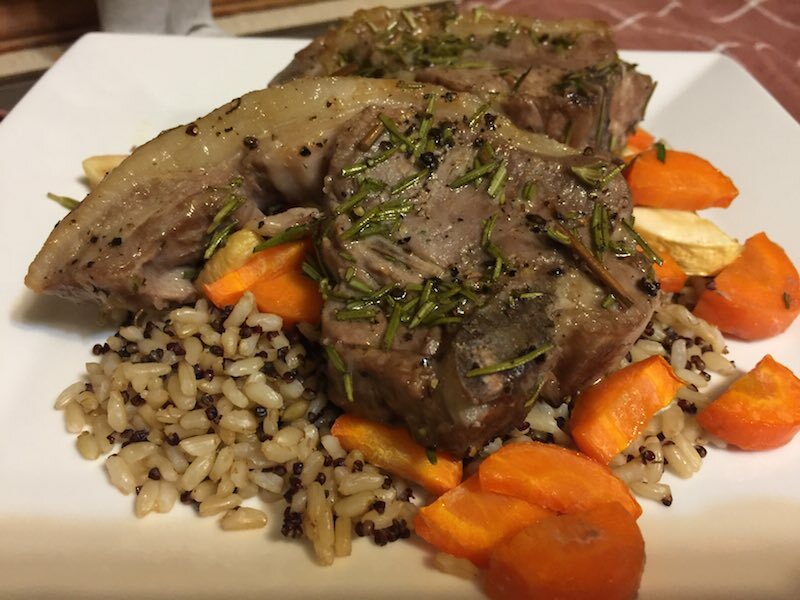 Take out the lamb chops and set aside for a second. Put in the vegetables on the bottom of the airfryer pan, then add the lamb chops on top of the vegetables. Cook again at 200 degrees Celcius for another 6 minutes. Now all done, you can enjoy your yummy meal. Download the app and get more recipes. Available for at the App store and on Google Play. You can also check out the Philips website for how to’s and video recipes for your airfryer. Stay tuned for more airfryer recipes.